"StarCraft II had some delays very early on in development is because a fair amount of the design team went onto World of Warcraft for a year"
Ever since the release of Warcraft III: The Frozen Throne back in 2003, Blizzard Entertainment was tentatively working on StarCraft II with its entirely ground-built gameplay. Not only did the game have the utmost care that can only be held by Blizzard employees, but it also was being held-up by Blizzard's Mona Lisa, World of Warcraft. Blizzard's vice president of game design, Rob Pardo, explained that the staff who were in the early stages of development for StarCraft II were re-directed to the World of Warcraft division in 2005 to assist their dev team for a year. As Pardo explained, "One of the reasons that StarCraft II had some delays very early on in development is because a fair amount of the design team went onto World of Warcraft for a year to really help finish that game off. They had a lot of really great experience to bring, with their knowledge of how they approached the map editor problems, how they dealt with balancing - which we could then leverage into class balancing." StarCraft II's producer, the rising Chris Sigaty, also commented and confirmed, "during the time that we were working on World of Warcraft, our team got sucked into that to some extent. A lot of our artists went over and worked on WOW - I was called off, too." According to Sigaty, Blizzard employees all understand that they all have the responsibility to assist one-another beyond any one game, in this case, StarCraft II. World of Warcraft was less than a year into its life cycle and many qualities had to be assisted by the StarCraft II development team. Once the World of Warcraft team could manage on their own, the StarCraft II team happily returned to their shelved product and by the end of 2006, had created a functional multiplayer engine for the game. 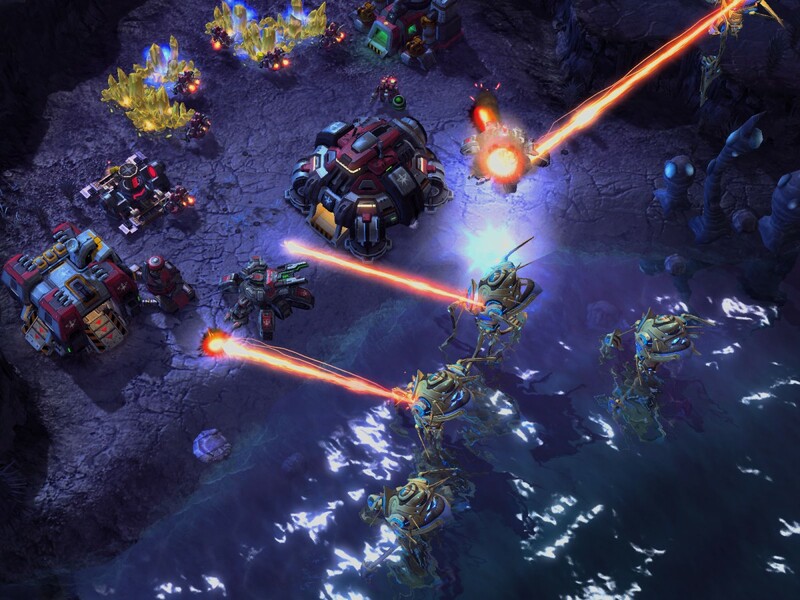 From there, StarCraft II had an easy course to its present day status. According to Rob Pardo, Blizzard has not once had to go to the drawing board to incorporate a serious new adjustment to the gameplay, making StarCraft II the first flawless road of development. Finally, halfway through develpment, the team could finally concentrate on the single-player aspect of the game, which is apparently the bigger task. "If anything, the single-player has taken a lot more iteration because we are going into such a new direction with how to approach that. There are a lot of things in our approach to singleplayer that we've meandered around, trying different things until we got to something that we really felt happy with," Pardo explained.